Having the trees at your home or business inspected by a professional tree service like Mr. Tree and Lawn Service in Gainesville is extremely important. The health of your trees can help determine how they survive through a major storm or during seasonal drought. The best method is to have your trees checked by a professional but there are things you can check for before making that call to check for obvious signs of disease. There are also other circumstance that make a tree unsafe. Some of these signs are obvious and if observed a trained professional should be contacted to determine a proper course of action. 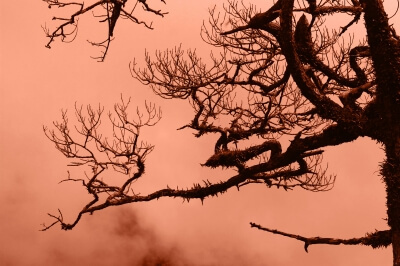 Tree Decay – this is a dead giveaway of a diseased and dying tree. Often the tree may still have lush green leaves but somewhere on the trunk decay is evident. This can be grounds for a complete tree removal. Cracks and cankers – these are places in the bark that are missing. This is especially dangerous around other branches. The weakened bark means that the surrounding area of the trunk is likely weak as well. Given that branches anchor within the trunk; they are more likely to fail from a cankerous area. Unnatural Tree Architecture – Is another sign of damage. This typically occurs when the tree is damaged from improper pruning and tree maintenance or storm damage. Having a trained professional check the tree for structural stability is the best option in these situations. Mr. Tree and Lawn Service is the source in Gainesville for all of your tree service needs whether they include trimming, removal and stump removal. Call us at 352-682-4444 or use the convenient “Contact” feature on our website.